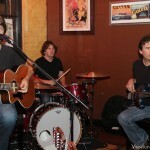 I’ve been going out and catching Shawn Jones’ shows for a few years now. To be honest, I get a little antsy when he’s out on the road touring. I don’t want to begrudge others from enjoying his shows and becoming fans, but I love that he’s been calling Ventura home and that we get him more often than others around the world. That being said, obviously, I love Shawn Jones. His music just does something to the inner workings of my body and soul. It’s a physical thing, and a spiritual thing and he does it quite effortlessly. 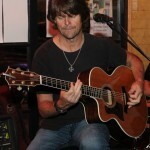 Original tunes through and through, Shawn really shines on his fifth release which was produced by Shawn Jones, Jeff Silbar and Joe Baugh at Brotheryn Studios in Ojai, CA. I’d be lying if I said I didn’t have favorites, but I can’t help myself! What a great line in the opening track, “Life is for the Living,” “I went out to see an old friend, laid to rest last Saturday.” The man just has a way with words, and his music is so infectious you’ll find yourself grooving and learning the lyrics and singing right along with Shawn by the second time through. 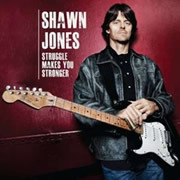 The title track, “Struggle Makes you Stronger,” is another favorite as is “She Don’t know (’bout her own Mojo),” which is funky, down and dirty; Shawn has some serious fun on that one. “Day with Rain” soothes the soul, where “Runnin’ Water” raises you up and makes you want to take on the world. 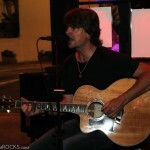 Blues, Rock, Americana, Country…it’s Shawn Jones playing what inspires him…and it inspires me. And one more thing…Shawn has got the sexiest voice hands down. You can quote me on that one. Couldn’t have said it better! Thanks for promoting such a great talent and giving props to the producers of this fine CD. I moved to Ventura five years ago . I was introduced to shawn and his music. I listen to three of his cd at least once a day . He really struck a cord in my soul. He is a a down to earth hard working music man .. 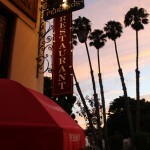 I have a little salon in down town Ventura and only play our local players!! Lots of clients have come to know shawn jones and feel there souls get moved and groved!! Love it when he gets back and rocks my world! !